Waste-to-energy can not only generate energy in the municipal solid waste disposal process, but also reduce greenhouse gas emission. Based on the greenhouse gas reduction of two waste-to-energy methods: incineration with energy (electricity and heat) and landfill with landfill gas utilization, this paper made a cost-benefit analysis of them. We identified and described private cost and environmental benefits of the two waste-to-energy projects. Taking Tianjin Binhai municipal solid waste incineration power generation CDM project and Tianjin Shuangkou landfill gas recovery and electricity generation CDM project as examples, the calculation method provided by Intergovernmental Panel on Climate Change Guidelines in 2006 was used for calculating greenhouse gas reduction. It can be calculated that dispos-ing of 1t municipal solid waste in the way of incineration with energy could reduce 0.777 tCO2e, and in the way of landfill with landfill gas utilization could reduce 0.657 tCO2e. Then we calculated the costs and benefits of waste-to- energy projects’ per unit greenhouse gas reduction and the internal rate of return of waste-to-energy projects, and made a cost-benefit analysis of them under different internalization of externalities realization situations. It seemed that the payment of waste disposal fees was to solve local pollution problems, but it actually impacted the benefits of greenhouse gas collaborative emission reduction. Even without carbon trading, as gate fees paid by local governments to waste-to- energy enterprise increasing, it would also improve the benefits of per unit greenhouse gas reduction, so as to promote the reduction. 李蓓蓓, 殷培红, 方修琦等. 德国实现京都减排目标的原因分析[J]. 资源科学, 2011, 33(3): 588-594. 中华人民共和国住房和城乡建设部. 中国城乡建设统计年鉴(2010年)[M]. 北京: 中国计划出版社, 2011. S. S. Mustafa, S. S. Mustafa and A. H. Mutlag. Kirkuk munici- pal waste to electrical energy. Electrical Power and Energy Systems, 2013, 44(1): 506-513. A. Tabasová, J. Kropáč, V. Kermes, et al. Waste-to-energy tech- nologies: Impact on environment. Energy, 2012, 44(1): 146-155. D. R. Schneider, M. Kirac and A. Hublin. Cost-effectiveness of GHG emission reduction measures and energy recovery from municipal waste in Croatia. Energy, 2012, 48(1): 203-211. 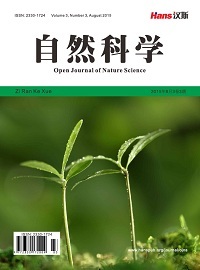 H. B. Han, G. R. Qian, J. S. Long, et al. Comparision of two dif- ferent ways of landfill gas utilization through greenhouse gas emission reductions analysis and financial analysis. Waste Man- age-ment & Research, 2009, 27(9): 922-927. M. El-Fadel, H. Sbayti. Economics of mitigating greenhouse gas emissions from solid waste in Lebanon. Waste Management & Research, 2000, 18(4): 329-340. 赵藏闪, 苗惠芳, 何俊宝. 天津市垃圾能源化途径的探讨[J]. 环境卫生工程, 2000, 8(3): 108-110. Y. Wang, Y. He, B. B. Yan, et al. Collaborative emission reduc- tion of greenhouse gas emissions and municipal solid waste (msw) management—Case study of Tianjin. Procedia Environmental Sciences, 2012, 16: 75-84. 张于峰, 邓娜, 李新禹等. 城市生活垃圾的处理方法及效益评价[J]. 自然科学进展, 2004, 14(8): 863-869. H. Zhang, D.-Q. Zhang, T.-F. Jin, et al. Environmental and eco- nomic assessment of combined biostabili-zation and landfill for municipal solid waste. 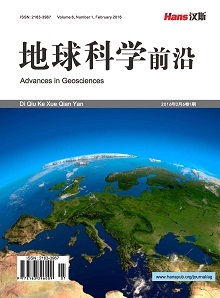 Journal of Environmental Management, 2011, 92(10): 2533-2538. 杜吴鹏, 高庆先, 张恩琛等. 中国城市生活垃圾处理及趋势分析[J]. 环境科学研究, 2006, 19(16): 115-120. H. S. Eggleston, L. Buendia, K. Miwa, et al. 2006 IPCC guide- lines for national greenhouse gas inventories, pre-pared by the national greenhouse gas inventories programme. Institute for Global Environmental Strategies, 2006. T. Astrup, J. Møller and T. Fruergaard. Incineration and co-com- bustion of waste: Ac-counting of greenhouse gases and global warming contributions. Waste Management & Research, 2009, 27(8): 789-799. 宋彦勤, 李俊峰, 王仲颖等. 清洁发展机制(CDM)及项目实施介绍[J]. 中国能源, 2005, 27(2): 10-12. 瞿贤, 何品晶, 邵立明等. 生物质组成差异对生活垃圾厌氧产甲烷化的影响[J]. 中国环境科学, 2008, 28(8): 730-735. 孙晓杰, 徐迪民, 李雄等. 上海城市生活垃圾的组成及热值分析[J]. 同济大学学报, 2008, 36(3): 356-360. 何品晶, 陈淼, 杨娜. 我国生活垃圾焚烧发电过程中温室气体排放及影响因素——以上海某城市生活垃圾焚烧发电厂为例[J]. 中国环境科学, 2011, 31(3): 402-407. T. Jamasb, R. Nepal. Issues and options in waste management: A social cost-benefit analysis of waste-to-energy in the UK. Re- sources Conservation and Recycling, 2010, 54(12): 1341-1352. 国家发展改革委建设部. 建设项目经济评价方法与参数(第三版)[M]. 北京: 中国计划出版社, 2006.